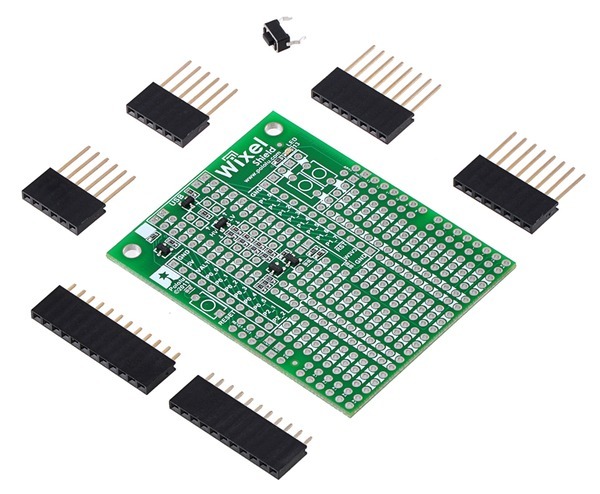 Could this also be used to attach arduino shields to your Wixel? 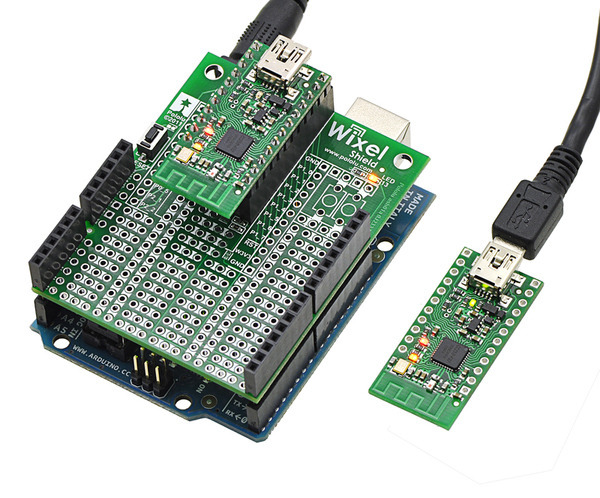 If you supply the power/peripherals normally provided by the Arduino that the shields rely on, it should be possible. 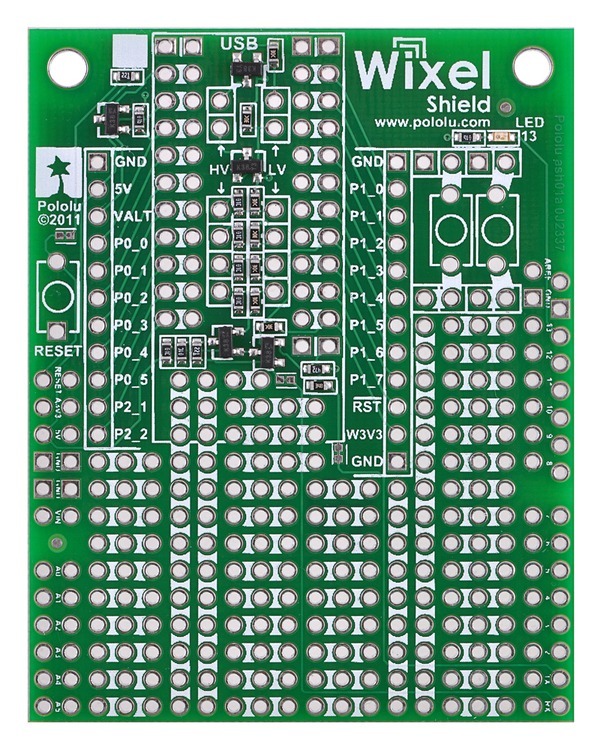 Also keep in mind that most shields were designed for 5V logic, so you might have to use the level-shifting circuits provided on the Wixel shield. 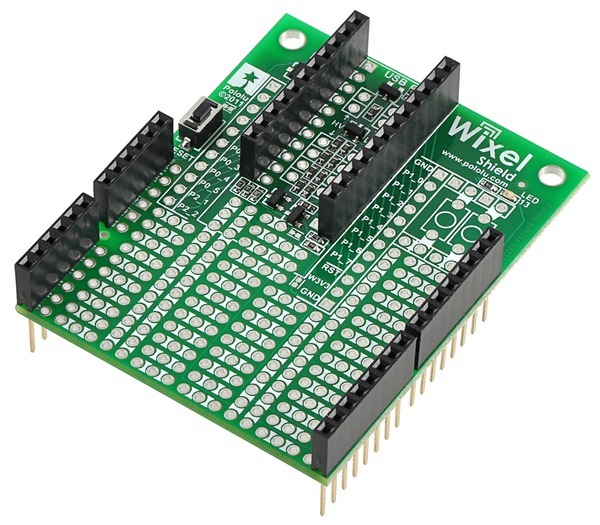 You could stack this shield with another shield and possibly control the other shield directly with the Wixel under the right conditions. The part of the title that says "Shield for Arduino" probably means something. any chance of selling this in a package with a pair of wixels?